Northwest National Real Estate: Price Reduction! Remodeled Home In Kadoka! Price Reduction! Remodeled Home In Kadoka! 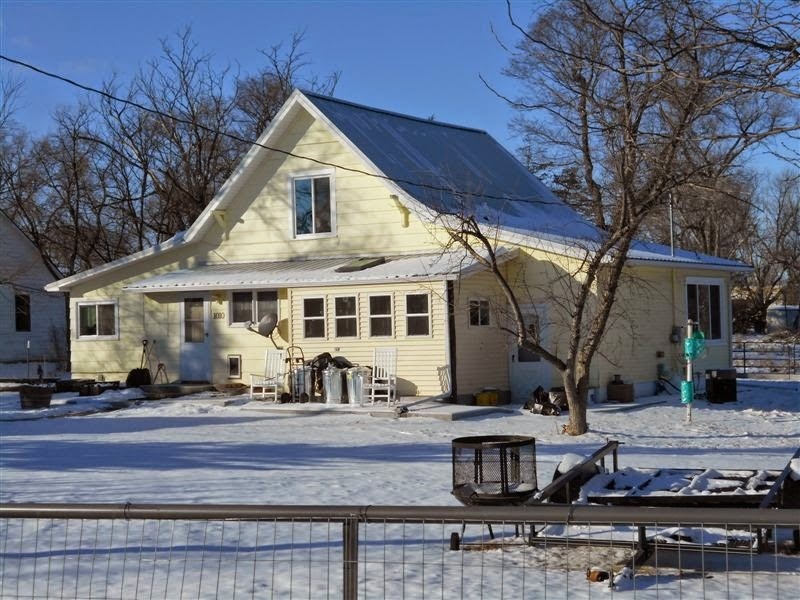 This is a beautifully remodeled home in a quiet and picturesque setting in the rural community of Kadoka, South Dakota. Look out your window and see wild game or walk 1 block to the city auditorium, 2 blocks to school and the County Court House, or 3 blocks to a full service grocery store. This 2 story home has it all from hardwood floors, a sunken bathtub and walk-in shower, an open living and dining room area with a full brick wall fireplace, a modern kitchen with excellent cabinet storage space. There is approximately 1,350 sq ft of living space on the main floor with an upper level that provides office space along with a couple additional bedrooms. The master suite has its own half bath and adequate closet space. The property also has an outside door to load fireplace wood and a new metal roof along with additional insulation that was recently installed. Taxes are reasonable and the home is easy to heat and ready for you to enjoy. Close to the Badlands and only 1.5 hours from the Black Hills. Call Gene Christensen @ 605-222-1302 or Brad Otte at 605-685-5716 for more details. $70,000.